Do you want to have a beautiful landscape and take care of the environment at the same time? That’s an idea that we can get behind! West Coast Trees loves the environment and sustainable landscaping techniques. Here are a few tips for you! Because native plants are already adapted to live in the part of the country where you are planting them, you can get away with less maintenance. Plus, native plants will be familiar to local wildlife, so local animals won’t be frightened or confused. Native plants may also be resistant to local insects or diseases that could affect a plant that is not well adapted to the area. You can still use other plants in your landscaping, but always be sure to have at least some native species. If you want your landscape to be well lit in the evening hours, consider investing in lights that use solar energy. You won’t have to run power lines through your yard to power the lights, and solar power is a sustainable resource. Just be sure your trees and shrubs don’t block your lights from getting the sunlight they need during the day in order to shine at night. At West Coast Trees, we use organic products and techniques for growing shrubs, grasses, and trees at our nursery. We can teach you to develop these techniques as well. 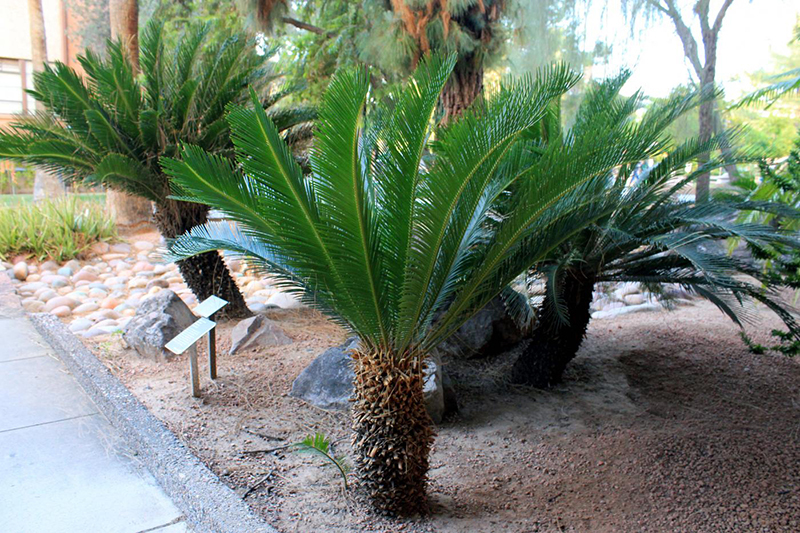 The next time you come in to shop for some palm trees or desert plants, be sure to ask for some suggestions on how to keep your landscape beautiful in a sustainable manner.